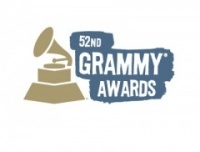 The 2010 GRAMMYS are quickly approaching and the 2010 GRAMMY® Nominees CD highlights artists and songs nominated for the 52nd Annual GRAMMY Awards. This CD includes songs I Gotta Feeling by the Black Eyed Peas, Poker Face by Lady Gaga, You Belong With Me by Taylor Swift, Fallin For You by Colbie Caillat, You Found Me by the Fray, 21 Guns by Greenday and much more great music. So make sure to pick up this CD with the greatest hits of 2009-2010 and a portion of the proceeds from the sale of the CD will benefit the MusiCares® Foundation and the GRAMMY Foundation®, two charitable organizations established by The Recording Academy. And be sure to watch the Grammy’s Sunday night, January 31st on CBS 8PM ET/PT with performances by Beyoncé, the Black Eyed Peas, Lady Gaga, Taylor Swift and Carrie Underwood just to name a few. Also some of the celebirty presenters include pop/R&B singer Justin Bieber, pop sensation the Jonas Brothers, nine-time GRAMMY winner Ringo Starr, actress/singer Jennifer Lopez, pop singer Katy Perry and TV and radio host Ryan Seacrest. Plus Usher in a special 3-D GRAMMY tribute to Michael Jackson and Mary J. Blige and Andrea Bocelli in a special fund-raising segment for Haitian relief. So be sure to tune in to Music’s Biggest Night!